Unlike free web proxies, VPN extension protects your traffic with strong encryption. There are several reasons why you may have trouble accessing websites and online services. 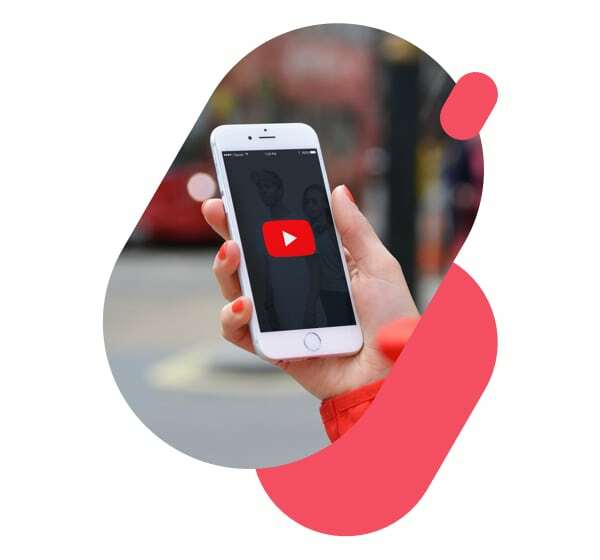 Media content is often unavailable in certain countries or regions, while many educational institutions completely block users’ access to social media networks, streaming or P2P sharing platforms. With the help of web proxies or VPN services, you can easily bypass content restrictions by simply replacing your IP with the address of the proxy or VPN server you are connected to. This way, you can securely access all websites and services from anywhere in the world. Free proxies are known for manipulating their users by injecting spyware or advertisements into their sessions. What’s more, they don’t encrypt your internet traffic, leaving it vulnerable to hacking. 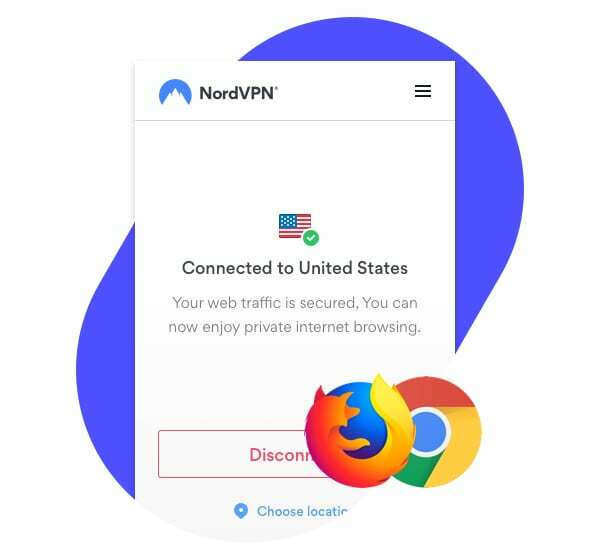 The lightweight NordVPN extension for Chrome and Firefox allows you access all the content you want without limiting your bandwidth, while at the same time securing your communications with strong encryption. Encrypt your internet traffic to browse securely and privately. Why do people use proxies? Proxies are easy to set up and use, so some internet users, especially from highly censored countries, choose web proxies to access Facebook, Twitter, YouTube, eBay, LinkedIn, and other websites that are unavailable in their region. Proxies work on any device connected to the internet and are compatible with all major operating systems – Windows, iOS, macOS, Android, and Linux. What is a free proxy list? However, we cannot guarantee the safety or effectiveness of free proxy services for protecting your identity and security online. Therefore, it is always better to get a reliable VPN service, which not only protects your IP address but also encrypts all the data that is sent and received. What is a web proxy server and what does it do? A web proxy server, also known as a proxy or application-level gateway, is a computer that sits between your device and the internet and handles your requests for accessing websites and services. When you are browsing with a proxy, your internet traffic is routed through that server, making it look as if it came from the server’s IP address rather than yours. This setup allows you access websites and services that may be restricted in your country. However, most sites today use complex blocking techniques, and simple web proxies can’t bypass them. Why shouldn’t you use free proxy services? The main concern of using web proxies is that they don’t offer any data protection. Even though using a proxy makes it more difficult for snoopers to obtain your IP address, it still leaves your data vulnerable to hacking, because these services don’t encrypt your internet traffic. What’s more, free proxy services are also known for injecting spyware or advertisement into websites. Another problem is that proxies can cache web pages. Every time you request an URL from outside, a copy is stored locally. The next time you try to access the same URL, the proxy can supply the local copy instead of reloading the original across the network. It may improve page performance but also leave you with out-of-date results, which may be a problem if you depend on having the latest information and data. Why is VPN a better choice? VPN encrypts your internet traffic, while a web proxy doesn’t. NordVPN is like your private tunnel in the “internet jungle.” All the data traveling via this tunnel is protected with the strongest encryption protocols available, making it extremely difficult for hackers to intercept or decipher. Unlike web proxies, VPN secures not only your browser but also the traffic of all your applications that use the internet connection. What’s more, with a single NordVPN account you can secure your whole network, including your computer, mobile phone, tablet, and even smart TV. If you care about your privacy and security, we strongly recommend getting an encrypted VPN proxy extension instead of risking it with free proxy services. Does proxy slow down your internet connection? Since a web proxy is a free service, lots of internet users tend to use it, putting a heavy load on the server, which may result in a slow connection. Therefore, if you wish to securely access restricted websites and streaming services without sacrificing your connection speeds, you will need a reliable VPN service. NordVPN allows choosing from 5100 ultra fast servers worldwide, so you can enjoy any content you want with no interruptions, cyber threats or data leakage. internet users are also concerned about the bandwidth limits that many free services tend to impose. NordVPN does not limit, monitor or block connection speeds in any way, shape or form, so you can download as much data as you like. What are other options for protecting my IP address? NordVPN’s encrypted extension for Google Chrome and Mozilla Firefox is a powerful combination of a proxy and VPN. When enabled, the extension encrypts your connection and changes your IP address, protecting your browsing from any third-party snooping and allowing you to securely access your favorite websites even if they are not protected by HTTPS. On top of that, it will block intrusive ads and malware-hosting sites. Choose from hundreds of servers optimized for P2P activities. Encrypt your traffic twice to create an extra layer of online privacy.